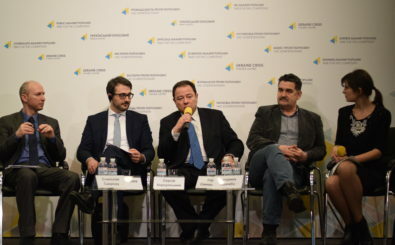 Comments – Центр "Нова Європа"
Comment of NEC First Deputy Director Sergiy Solodkyy on upcoming presidential elections. Comment of NEC Director Alyona Getmanchuk on the upcoming presidential elections in Ukraine. Comment of New Europe Center analyst Leonid Litra on the statement of Emmanuel Macron. Leonid Litra’s commentary on the parliamentary elections results in Moldova.